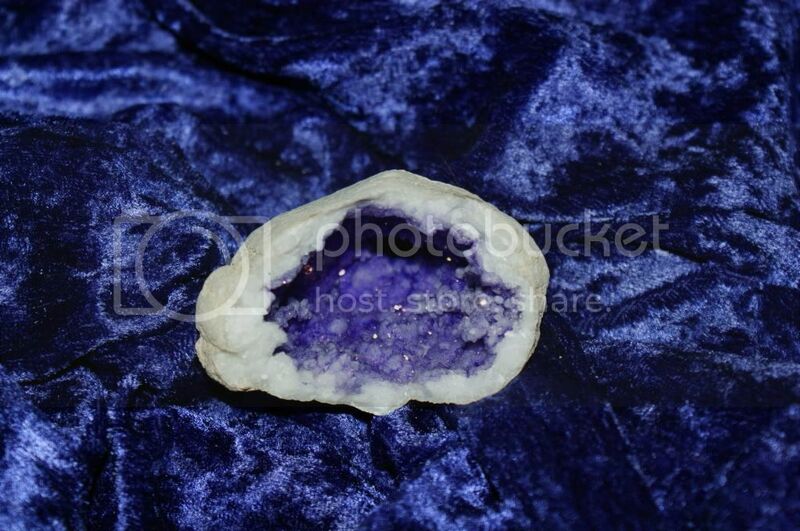 We have had quite a few clients ask us to start offering recharging vessels for their spirits, crystals and gemstones! Most spirits do need to be recharged often, so this is an excellent vessel for that purpose. It is very simple to use, as it has already been cast upon using a full moon ritual that bound the natural full moon charging powers upon this cave, so that you are able to keep recharging your spirits anytime, and no longer need to worry about placing your spirits outside each full moon. All the work has been done for you! All you must do is place your spirit's vessel inside this cave overnight and it will recharge them to vibrant and happy spirits, and allow them to fully restore their highest powers once more! You can even keep your spirits in this cave all the time! They will thank you! This cave is excellent for all of our working clients that may forget to recharge their spirits - leaving them sad, depressed, and weak. This can happen to Master's unintentionally, and their spirits become too weak to service them to the ultimate level that they could! We have several of these small caves, and they are all a bit different. SO, just know that we will intuitively choose on for you, so the one you see in the picture may not be the same as the one you receive. Recharging Your Spirits is absolutely essential to their strength level! This is an awesome short cut to being able to keep your spirits safe, happy, and working for you - without you having to do all the work that masters, collectors and conjurers have had to do for years and years! Everyone who sells charging boxes and vessels has a different methodology, and we don't question theirs as we do not share with each other our spell work. However, we do know that a lot goes into the casting of our charging items, and we know that they are authentically done. We have been working with spells to increase the effectiveness of our spirit and stone charging boxes since 2004, so we have had plenty of time to make changes and alterations to make our casting ritual more and more powerful. We strongly recommend that if you are not directly wearing or touching your spirit, that you place him/her in a recharging cave such as this one just to ensure their strength and keep them happy. The same goes for your crystals and gemstones when you are not working directly with them.